MedTech Innovator is the industry’s nonprofit global competition and accelerator for medical device, digital health and diagnostic companies. Our mission is to improve the lives of patients by accelerating the growth of companies that are transforming the healthcare system. MedTech Innovator has partnered with AdvaMed and AdvaMed Accel in the US and APACMed in Asia to provide best-in-class start-ups access to a virtual accelerator and to support members developing innovative and transformational medical technologies. In 2019, MedTech Innovator and its partners will give out up to $500K in cash prizes and awards. The competition includes several rounds where companies gain increasing amounts of exposure to industry leaders including through online application reviews, in-person pitch sessions, and audience competitions at three conferences. MedTech Innovator Pitch – Companies identified during the review process of being of strategic interest will be invited to pitch at one of our regional pitch events in the US, EU in March and April. They will have the opportunity to present to and receive feedback from judges including investors, providers, and senior executives from leading medtech companies such as Johnson & Johnson, Baxter, BTG, Olympus, Amgen, and many others. 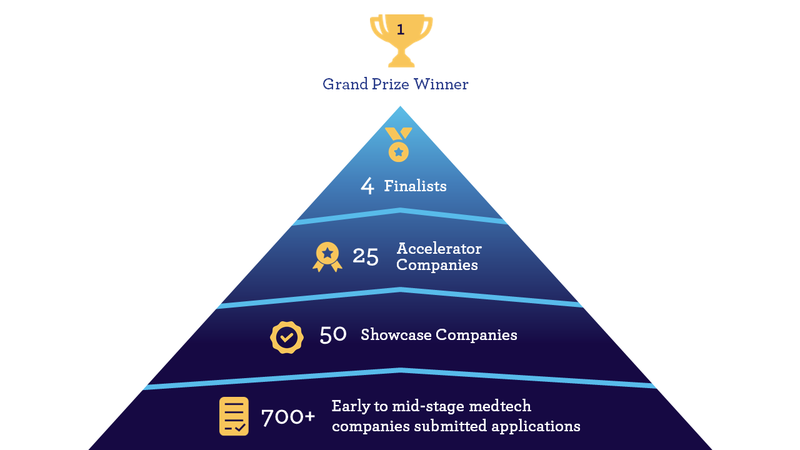 Based on feedback, companies may be selected to advance to participate in the MedTech Innovator Accelerator and/or Showcase Program. MedTech Innovator Showcase – 50 companies will be selected from the MedTech Innovator Pitch round to the Showcase program which prominently features the most innovative companies from around the world each year at two leading industry conferences. Showcase companies receive coaching and high-profile visibility at the WSGR Medical Device conference in June and The MedTech Innovator Showcase program at The MedTech Conference, powered by AdvaMed, in September. Among many benefits, MedTech Innovator Showcase companies receive full conference scholarships, are featured in expert panels, and gain access to exclusive partnering and networking. MedTech Innovator Accelerator – 25 companies will receive a place in the MedTech Innovator Accelerator, a 4-month virtual program from June – September. Accelerator companies have an unparalleled opportunity to receive continual in-depth, customized mentorship from senior leaders in the medtech industry. The accelerator commences with a 3-day kick-off event in San Francisco in June that includes exclusive networking, workshops, and pitching with investors, manufacturers, providers, and customers. All 25 Accelerator companies receive complimentary registration to the WSGR Medical Device Conference where they have opportunities to showcase their company and compete to present for a Value Award and a profile in the MedTech Strategist. The Accelerator program concludes with all 25 companies participating in the Accel Leadership Seminar, the MedTech Innovator Showcase, and an opportunity to compete to present in the finals at The MedTech Conference. MedTech Innovator now offers a parallel competition and program providing content regarding accessing and operating in the Asia Pacific region and a Showcase and $300K competition in front of industry leaders at the Asia Pacific MedTech Forum in October in Singapore. Companies may apply to both our US-based and Asia programs. Please visit our MedTech Innovator Asia page for more information on our 2019 Asia Pacific program. 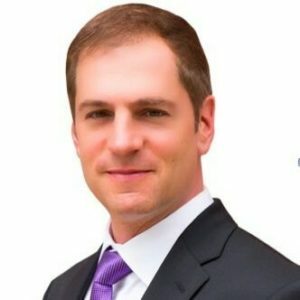 Paul is the founder and CEO of MedTech Innovator. He created and managed MedTech Innovator as a program within RCT Ventures from 2013 – 2016. In 2016, with the financial support of RCT and other sponsors, Paul left to run MedTech Innovator as a stand-alone company. He spent 11 years as Director and Managing Director at RCT Ventures, the investment arm of Research Corporation Technologies, Inc. Prior to RCT, Paul was co-founder and CEO of startups in the medtech, pharma, and tech sectors. 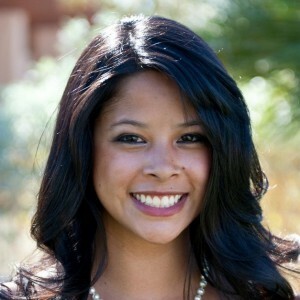 Kathryn Zavala is Vice President Operations and Business Development for MedTech Innovator. She earned her PhD in Molecular, Cell and Developmental Biology from UCLA. Kathryn has been with MedTech Innovator since 2015. She was a Technology Fellow at the UCLA Office of Intellectual Property, where she assisted with the commercialization of university technologies. 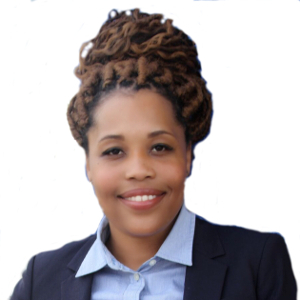 Tyra Dubose is a Program Associate for MedTech Innovator. She earned her MBA in Business Management from University of Phoenix. 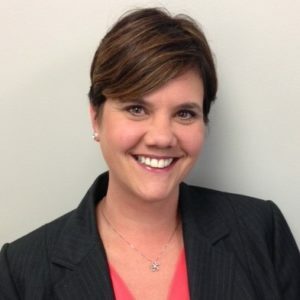 Tyra brings over 10 years of administrative, event planning, and project management experience to the team. She was a Recruitment Analyst at UCLA Health, where she assisted with the on-boarding of residents, fellows, and physicians. 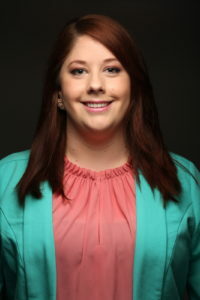 Liz Peek is the Program Manager at MedTech Innovator. She was previously a Tech Transfer Associate at the UCLA Technology Development Group, where she was responsible for coordinating invention-specific marketing of UCLA’s portfolio of technologies. Liz received her Ph.D. in Molecular Biology from UCLA in 2016, where her doctoral research focused on tumor immunology.